The Combine will be the main leg of our tryout process - everyone is invited to compete for a spot on the 2018 roster! All genders are invited to try out. The 2018 Seattle Cascades will consist of women and men who will compose an open team, a mixed team, and possibly a women's team too. Our plan is to select ~30 men and 15+ women. We will play 14 AUDL open games and 4-6 additional "Cup" games. Our schedule will be announced in early February. REGISTER AHEAD OF TIME and get updates about the event, including specific directions, "what to bring", and comments about the tryout process. Financial aid for the Combine fee is available upon request. Check-in on Saturday morning 8:00am-8:45am: fill out paperwork, pick up your number, get your picture taken, and then get some throws in before we begin at 9:00am. Our plan is to give individual feedback to players over the course of the Combine. If you're eager for feedback, approach a group leader or selection committee member and ask! In contrast to past years, the Combine is a one-day function that does not conflict with other scheduled ultimate events in Seattle. Also, the cost to participate is lower. The Selection Committee includes Mark Burton, Rohre Titcomb, and Xtehn Titcomb. The second and final round of tryouts will be invite-only and will take place the following weekend, on Saturday morning. Under 18 years old? 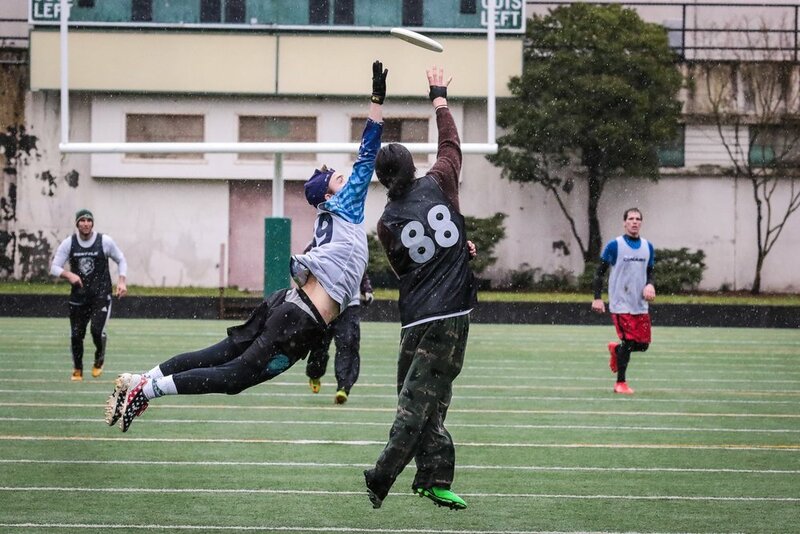 --- You're welcome to attend the Combine if you bring both an AUDL Liability Waiver Form and a Medical Authorization Form signed by a parent or guardian. If you're under 18 and you don't have these completed forms, you will be not be permitted to play. If you have questions about the Combine or the Cascades rostering process for 2018, email Xtehn Titcomb (xtehn@seattlecascades.com).